What a fascinating concept! It’s a bit complicated but I’ll try explaining it to the best of my ability. Basically, there’s the “real world” (Tygon) and there’s the game world also known as Educational Avatar Reality Training Habitat (Earth). 1 Day on Tygon (real world) equals 1 Year on Earth (game world), or a week on Tygon equals a decade on Earth… or something like that. Kids (ages 5-14) are sent into the game world (Earth) as players, to gain experience. Here’s the thing, players have no memory of their “real lives” on Tygon or previous lives on Earth. They don’t know that they are in a simulation. To them, their “game” life on Earth is real. They live out full lives (from birth to death) in “the game”. 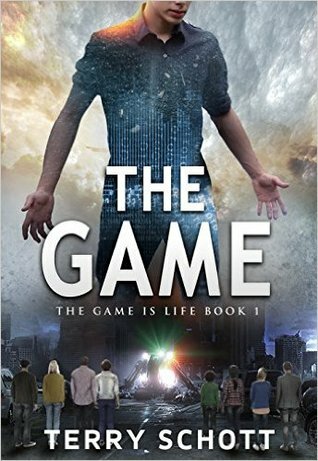 Their lives in “the game” are made available for the public in the “real world” to watch. Everyone is obsessed with “the game” in the “real world” (Tygon) as it is portrayed as their sole means of entertainment. In fact, society is both economically and financially dependent on “the game”. Viewers even pay to watch their favorite player’s lives (in “the game”) being streamed on certain channels. Once they turn 14, players are expected to pay for any further incarnations (or lives) to re-enter “the game”, using the credits and experience (XP) that they’ve earned during their time in “the game”. They can also use their credits to buy upgrades for their characters for example Health, Focus, Luck, etc… with me so far? If you play certain video-games (like RPGs) then you’ll kinda’ know what I’m talking about. When a player dies in “the game”, they wake up in the “real world” (Tygon). Those who for whatever reason don’t do well in “the game” by dying prematurely (bad luck of being at the wrong place at the wrong time and getting stabbed to death, for example) or by living a low-scoring life, etc… are sent to the public school of the lower-class citizens and up with a manual labor job that doesn’t pay well such as factory worker. However, even if you do well, retirement is mandatory at 21 years old but you can use the credits that you’ve earned during your time in “the game” (from age 14-21) out in the “real world” landing you a sweet cushy job in Tygon or even retiring into luxury. The best players in “the game” become celebrities. If you manage to acquire a substantial amount of fans and followers during your time in “the game”, you’ll be rewarded with fame and fortune when you retire from “the game. Do well in “the game” and you’ll do well in the “real world”. We follow the story of 18 year old Zach whose goal for his final play in “the game” is to be ranked as the #1 player.